Looking for healthier snack alternatives this summer? Put away the potato chips and give these lighter nibbles a try. Keeping healthy snacks around is a great way to make sure you don’t go hungry without ruining your clean-eating plan. Set aside some time on the weekends or evenings to make these easy snacks in advance, and you’ll have easy munchies for the rest of the week. These homemade, veggie-based snacks are excellent for staying on track while you get your snack on, and they’ll definitely be a hit at your next summer BBQ. 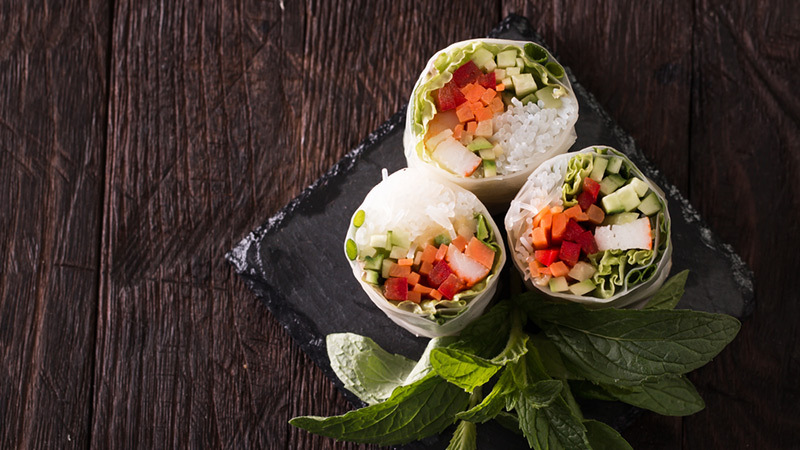 There is nothing quite like a refreshing veggie summer roll when you’re feeling snacky. These are packed with nutritious veggies, and they are a total feel-good food. You’ll need rice paper, some bean noodles, and a handful of veggies. My mouth is watering just thinking about summer rolls. Seriously, I could eat summer rolls all day, every day. Get the recipe from Epicurious. You may remember this snack from your childhood. 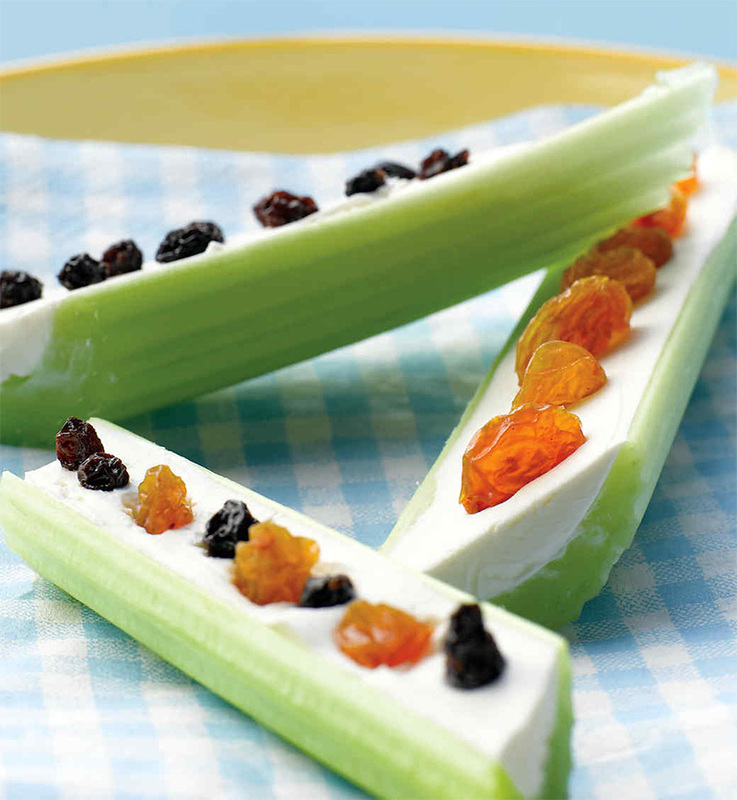 There are many different ways to make ants on a log, and they can be an incredibly healthy snack. This version uses reduced fat cream cheese and dried fruits like raisins and cranberries, but you can use whatever you want. Try the recipe from Martha Stewart. Whoa. 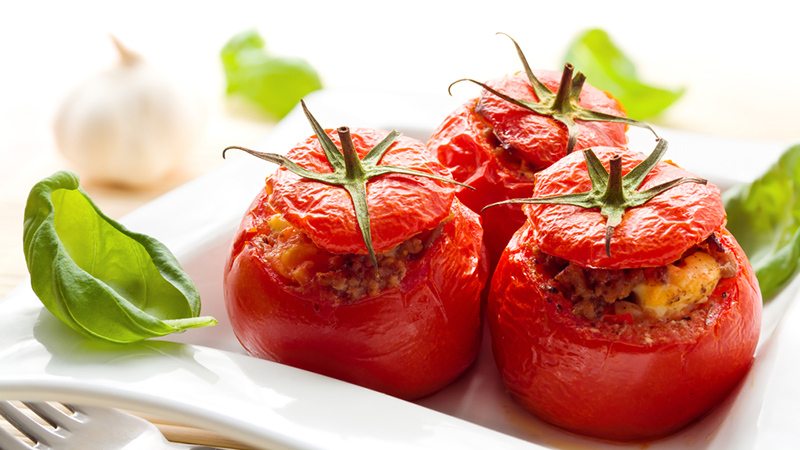 These baked tomatoes are little bites of cheesy, delicious heaven! Great as appetizers or just a snack to tide you over until you next meal, all you’ll need is tomatoes, bread crumbs, cheese, and smoked sausage. See the recipe at All Recipes. 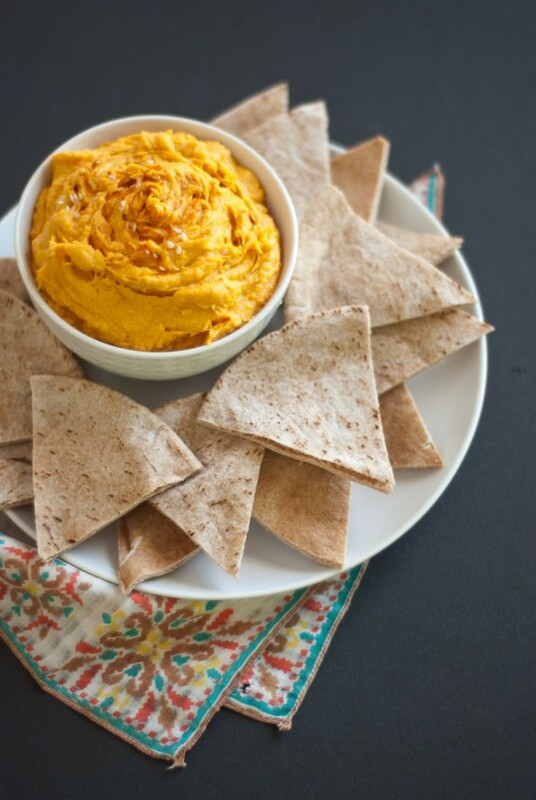 This dip goes well with tortilla chips, pita bread, or raw veggies like celery or broccoli. Creamy and flavorful, it will be a hit at your next summer party. 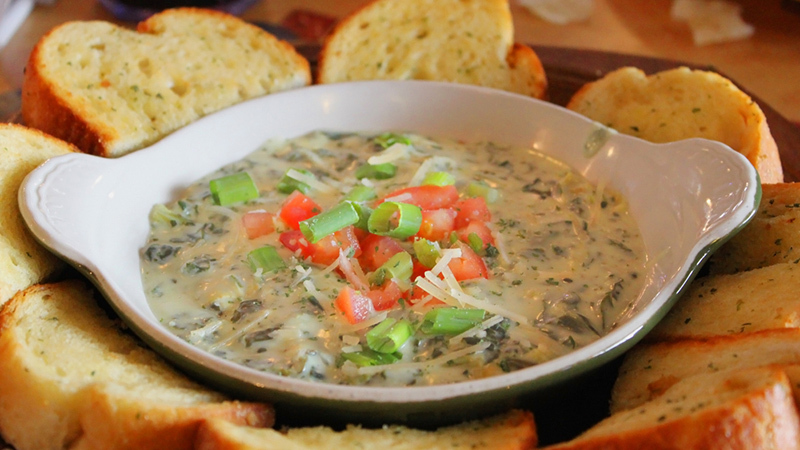 This dip is easy to make, but you may want to allow some time for it to cool before serving. Try the recipe at Taste of Home. Sweet potatoes and chickpeas are two powerful superfoods. Combine the two, and you’ll have an awesome dip you won’t soon forget. You can serve it with pita bread, or bite sized veggies. Keep it around to make all your crunchy snacks more interesting. Get the recipe at Cookie and Kate. Avocados are another superfood that make an excellent addition to any diet, but we don’t need to tell you how ah-mazing guac is, do we? 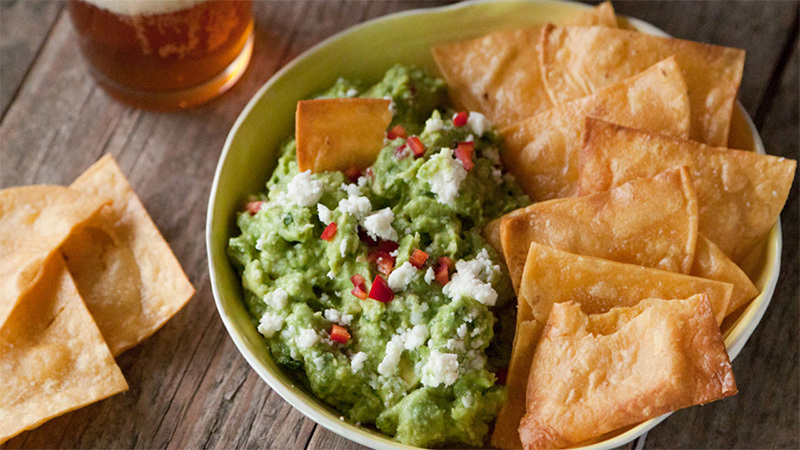 Serve this dip with tortilla chips, or with veggies like slices of bell pepper. See the recipe at What’s Gaby Cooking. Peppers are practically made to be stuffed. 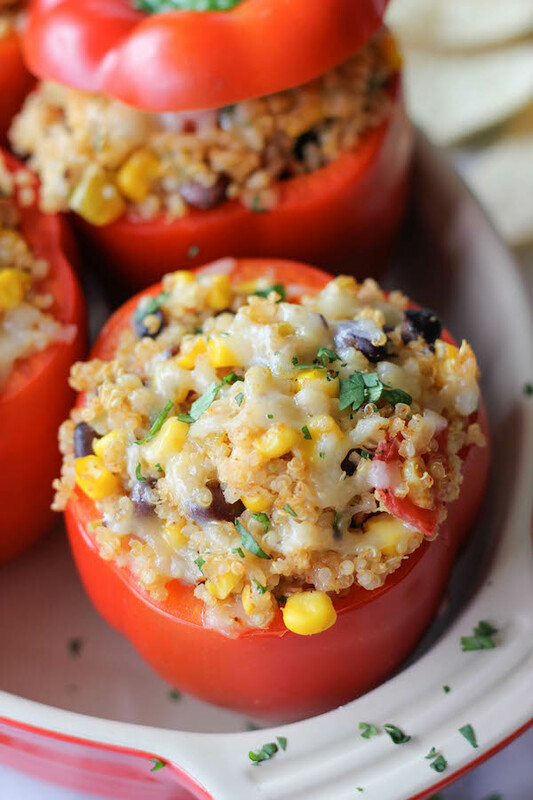 These bell pepper snacks filled with quinoa are super portable and amazingly tasty. They have all sorts of other good stuff in them too, like black beans, feta cheese, and corn. Get the recipe from Damn Delicious. 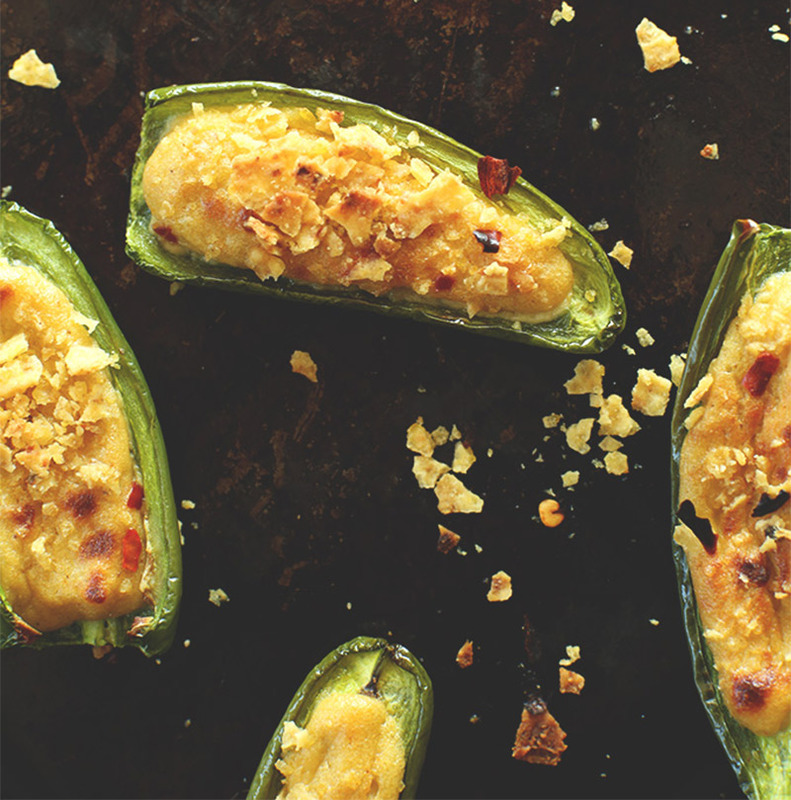 If you love jalapeno poppers, you’ll love these. The best part? This version is 100% vegan, but just as delicious as the standard kind. One of the major ingredients is raw cashews, which add great texture and are incredibly heart-healthy. Try the recipe at Minimalist Baker. Make your own healthy chips at home to save money and feel better after you eat them. These “chips” are cheesy and baked for maximum flavor. 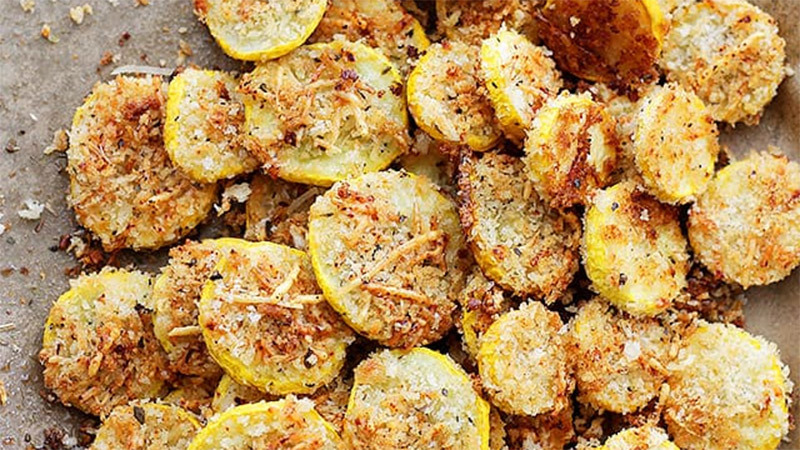 To make them, you’ll need yellow squash, panko chips, garlic powder, and Parmesan cheese. See the recipe at Diethood. 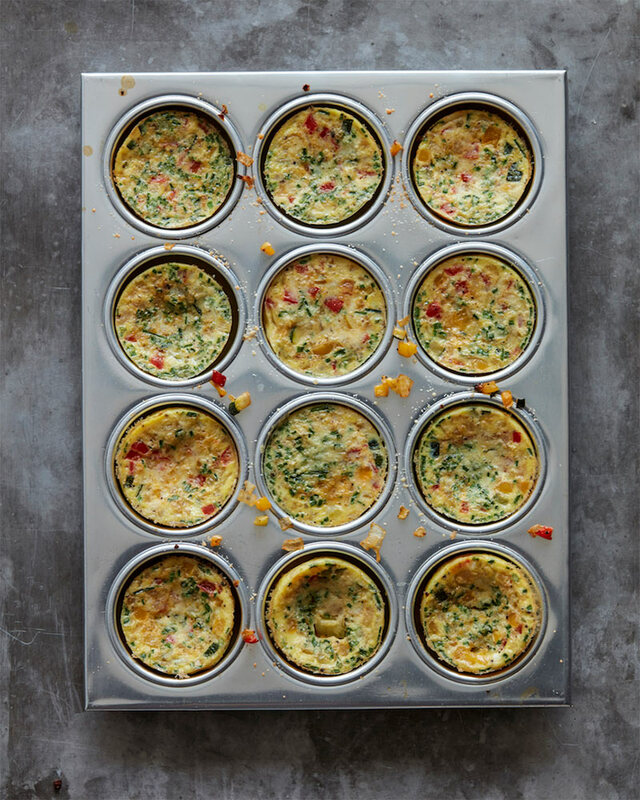 These mini frittatas are super easy to make, and are perfect for breakfast on the go, or as a post-workout pick-me-up. Get the energy boost you need without all the effort. Find the recipe at What’s Gaby Cooking.